This map provides a rich picture of many of these ecosystem services and is accompanied by a legend that explains different categories of benefits and can be used for illustration purposes and as an informative educational resource. The illustration was created by Sara Gelfgren from Scriberia as outreach material for the European Union FP7 project OPERAs based on ESCom's Co-Chair Marc Metzger's ideas and valuable input from Kathleen Allen, Vanessa Burton, Archie Crofton, Martina Metzger, Chris Wilson and other members of ESCom. 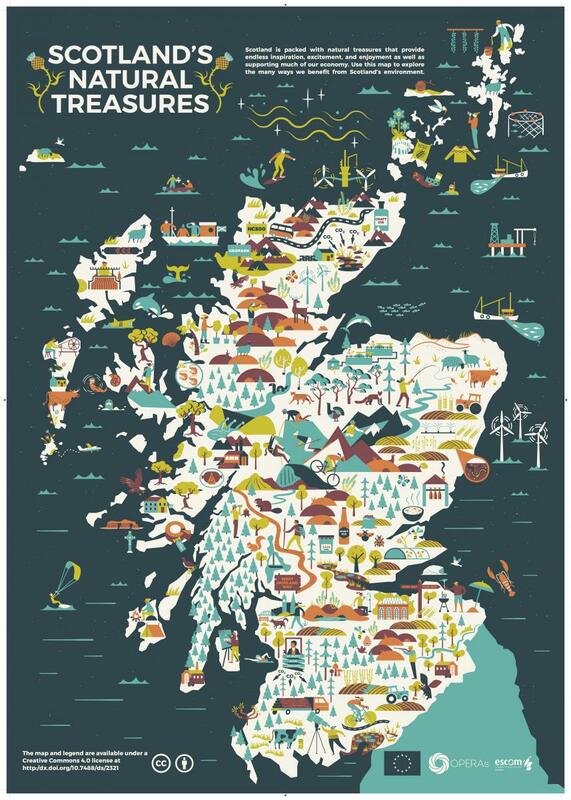 Check out the twitter hastag #NatTreasuresScot as we go through each of the country's services!